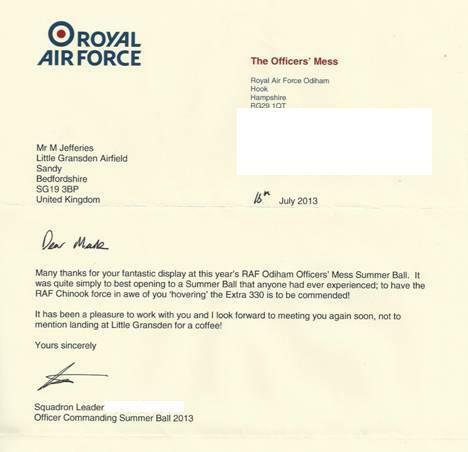 A few weeks ago Sqdn Ldr XXXX XXXXXX put social media to a good use and called out on LinkedIn and Facebook asking if anyone knew a good air display pilot who would like to fly the sunset air show for the summer ball in return for a look around RAF Odiham and a possible PAX ride on a training flight. I immediately jumped at the opportunity and was there at 9:30 AM on Friday 28th June. Looking around the base Chinooks were is various stages of readiness from refurbishment and up grades to engine changes and flying status. My PAX flight consisted of circuits and approaches to the hover and away again with a few other handling exercises. 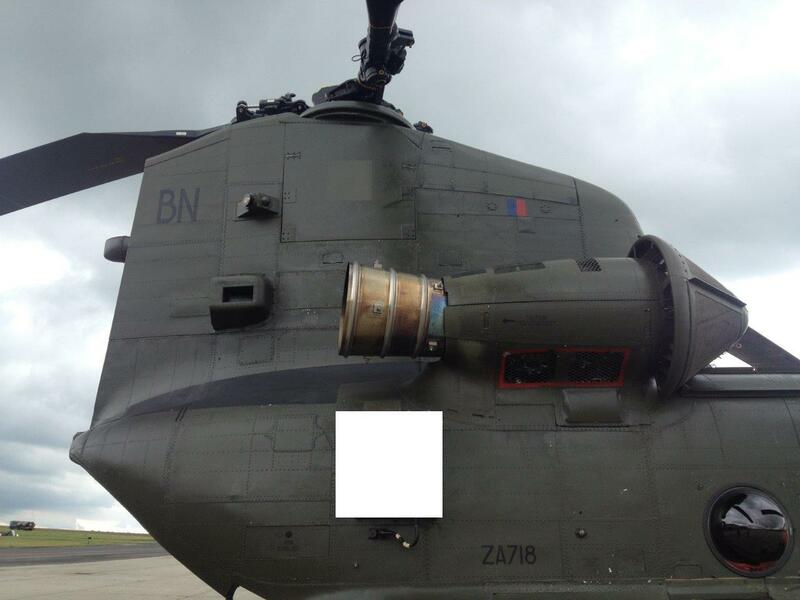 Whilst this was going on three other a/c were in the circuit and at the lifting zone. The lift zone had examples of every cargo the Chinook is expected to carry for the Army, truck, field artillery guns, sea going shipping containers. 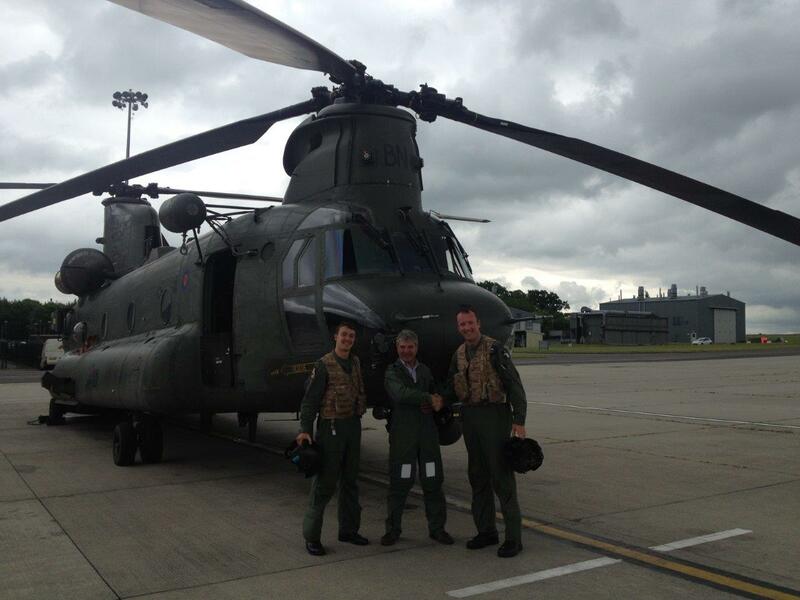 It was just before my flight I was told that “were going in BN” This aircraft is the most historic Chinook in the fleet having been the sole survivor and work horse in the Falklands conflict. 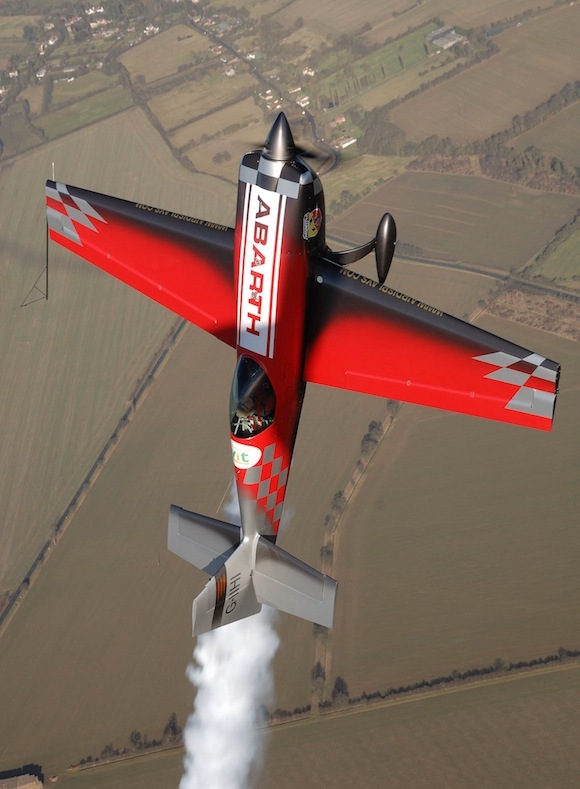 So now it was time for me to display the Extra 330SC at the “sunset air show” for the assembled crowds, having seen the lay of the land during the day I decided i could enter the show arena vertically without the spectators aware of my impeding arrival. This was accomplished with total surprise. What really blew the crowds away was the ability of the extra to fly at 220 kts and within moments after extreme tumbling and gyroscopic figures just take up the hover. The following day was Armed Forces Day in Odiham is a free event which commenced with a parade featuring the Army, Navy, RAF, Veterans, Royal British Legion, Cadets and school children followed by a presentation. 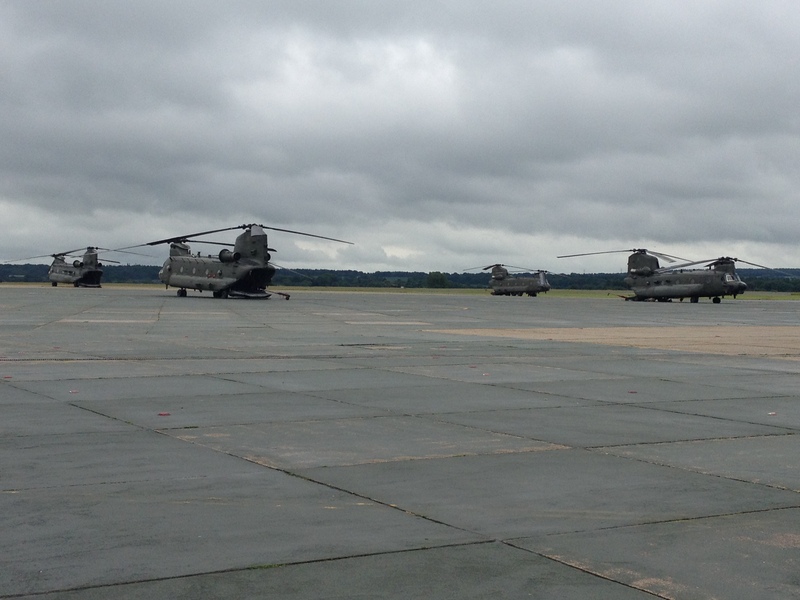 The famous Chinooks flew overhead. At 12:00 the event slides effortlessly in to the annual Booze and Blues Festival while during the afternoon teddy bears are parachuted from the church tower. This is an event for all ages with plenty to do in a real fete atmosphere with teas being served in the church grounds and an ongoing hog roast. Plenty of free parking and a chance to explore this historic town. Everyone will be assured of a warm welcome to this little piece of Hampshire. Thank you guys for a great day out and especially to Station Commander Group Captain D J Toriati OBE. Come and use my airfield for any operational training you like !